One of PV’s landmarks, Glassford Hill (elevation 6,177 feet (1,883 m)) was once an active volcano between 10 and 14 million years ago. Colonel William A. Glassford traveled the area in the 1880s and helped build a system of 27 heliograph stations to monitor the movements of Apache Indians, U.S. military troops and civilians. Glassford Hill was a part of that early communications system. Today, it stands as an extinct volcano. Prescott Valley’s Fitzmaurice Ruins contain artifacts from the early Mountain Patayan people who inhabited the area some 1,400 years ago. Thomas Gibson Barlow-Massicks arrived in the area in the early 1890s and built the historic “castle” that still stands in Fain Park. Massicks had a hydraulic gold mining operation in Lynx Creek Canyon and built the company mining camp of Massicks, Arizona just east of his Victorian home, the Castle. Prescott Valley AZ Homes for Sale. The fireplace with chimney just inside the Castle’s fence is all that remains of the Massicks store. Massicks accidentally shot himself and died in April 1899 at the age of 37. In the 1930s, there was a gold dredging operation, the Doodle Bug Diggings, farther east in Lynx Creek Canyon. In the mid-1960s, Prescott Valley Incorporated, a real-estate company from Phoenix, purchased land in an area 10 miles east of Prescott known as Lonesome Valley. Prescott Valley AZ Homes for Sale. 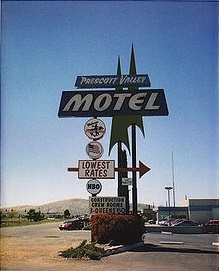 In 1966, representatives from Prescott Valley Inc. began traveling to the Midwest to sell home lots. By 1978, more than 1,500 residents were living in the unincorporated area now known as Prescott Valley. 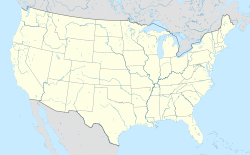 In 1978, 80% of the voters of Prescott Valley voted for incorporation as a town.